I found this handy chart on thebump.com. 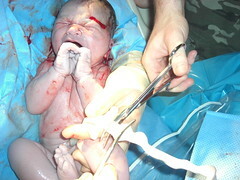 It compares Baby Shock to a piece of fruit/food each week to show how big the baby is. I think they should find a different fruit for the end result! Baby's moving like crazy -- feel anything yet? 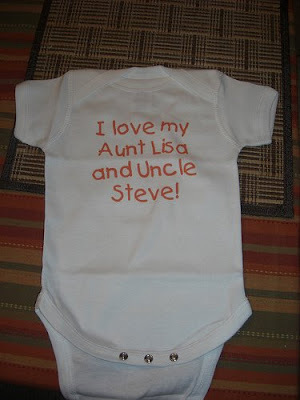 Aunt Lisa and Uncle Steve sent baby Shock it's first onesie. 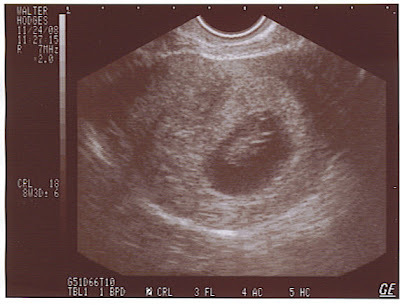 It put a little flutter in my stomach to realize that I'll be putting that over our babies head in about 7 months. We get to thank them in person this weekend. G-ma Shock and the Shoquillanos are coming to visit for a Pre-Thanksgiving celebration at our house. We are breaking the news to G-ma Shock tonight! 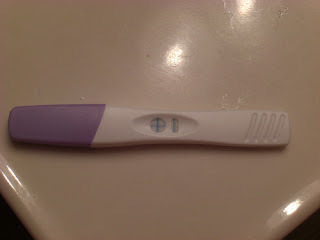 On October 29th, I woke up and took a home pregnancy test and it instantly revealed that a future Shock was on the way! Our first doctor's appointment is November 24th. There probably won't be any updates between now and then, but stay posted for Baby-Shock updates.